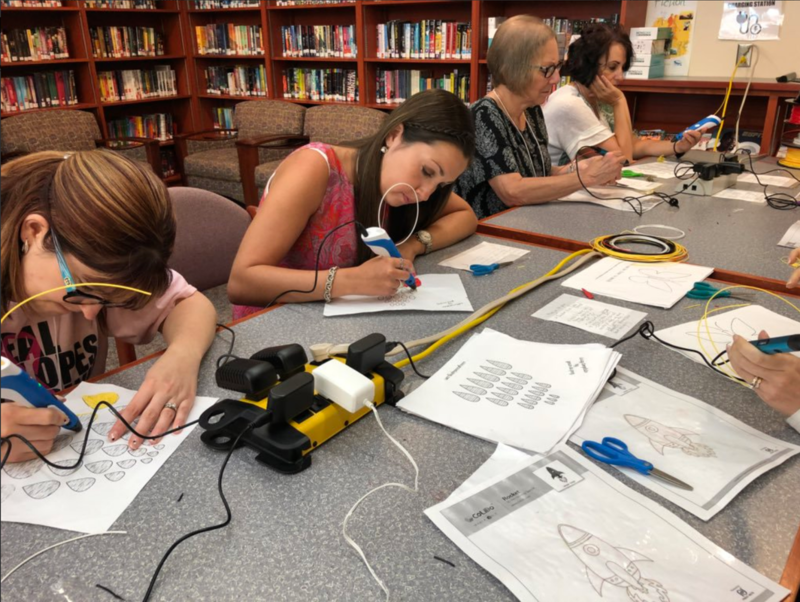 In 2018, ABC CREATE in partnership with Plum Borough School District hosted a summer STEAM Camp for Teachers! This camp was designed specifically for ABC CREATE educators who want to feel more comfortable integrating STEAM in to their classrooms. No experience required! Guided and supported by fellow teachers, tracks for elementary and for secondary teachers where you will be able to play around with technologies and ideas. Recognizing the need for girls to explore and to develop a STEAM identity in order to persist against the current culture of underrepresentation, ABC CREATE in partnership with Plum Borough School District is hosting a Girls’ STEAM Camp for rising 6th – 9th grade girls.